Home inspections can help you buy or sell your home with confidence. The trained professionals of Adept Home Inspection provide invaluable information, turning you into a knowledgeable consumer. Buyers, sellers, real estate agents, warranty companies, and property management companies can all benefit from a professional home inspection. All parties involved gain a more thorough understanding of the property's condition. Become aware of the general systems, structures, and components of the property which may be in need of immediate major repair or a condition which affects its habitability or safety. Prepare or consider repairs, desired upgrades, and a smoother transfer of ownership. 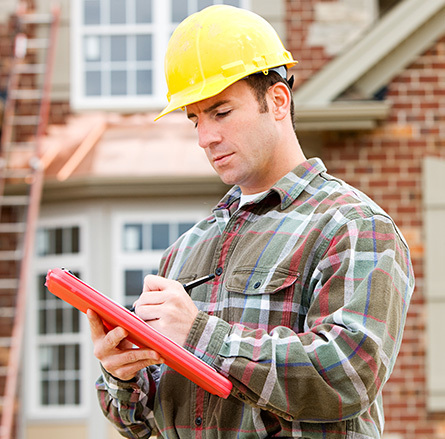 The home inspection can be used to set expectations and reduce the occurrence of costly surprises. Our fees include a second visit out to your property for any reason—whether it is to follow up on repairs made before the close of escrow or to view an area of the home that was inaccessible during the inspection. Maybe you just want that extra bit of assurance; we are there for you. Be assured of the quality of construction which will produce a home that truly meets your expectations. We will provide you with an improved understanding of the components and systems of your home during various stages of the construction process, including slab, frame, and final inspection. This inspection enables you to follow the progress of your major purchase, helps prevent unpleasant surprises, and adds to the assurance of quality and value of your home. Many builders provide a warranty and/or follow-up for new construction at the one-year mark after completion. Some insurance companies also depend on an inspection of the property for a new or renewal policy. You may be a homeowner who just needs a routine 'physical' for your home or are preparing your home for sale. Be prepared with full knowledge of possible defects or areas of concern for you, the builder or the insurance company to address or assess accurately.